IPVanish is a great example of why functionality is nothing without security when it comes to VPN services. We appreciate the sturdiness of the service itself, however the fact that it is based in the US and that the security features are not up to par make it an unreliable service. IPVanish is a US based VPN provider and part of the group that includes Highwinds Content Delivery Network, one of the largest CDNs in the world. 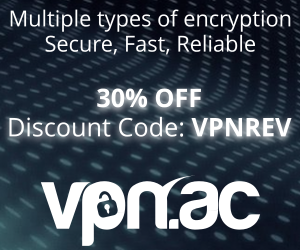 They have a very strong infrastructure set up which allows them to provide a sturdy fully-featured VPN service. Since our last review of IPVanish in 2013, the service has improved a lot – both in terms of infrastructure and software features. The sign-up process was straight-forward, there was no personal information requirement apart from the e-mail address, no ID, utility bills or other form of identity verification required. They also claim to be “the only true Top Tier VPN service in the world”. Let’s find out how IPVanish measures up to this title. When further investigating this matter, we discovered that they use third party data centers and are actually not in physical control of all of their servers. You can read the full article here if you would like to get more information on this topic. There are some basic features such as “kill switch”, “DNS Leak Protection” or “auto-reconnect” that you should expect to find in any VPN software, so we won’t be covering the basic features, but rather focus on some particularities that IPVanish brings to the table. After logging in, there are four protocols to choose from before connecting: OpenVPN (TCP), OpenVPN (UDP), L2TP and PPTP. You are then prompted to select your server, and the interesting part is that you can do this by selecting the type of usage or the location. The location list also provides a server response time which can help you which will work faster in your particular case. More than that, there is an option under IP Settings to change your IP address periodically, and even an IP verification tool included directly in the software. The Dashboard also offers a Diagnostic tool that will show you the connection logs. This is not something that everyone is looking for particularly, but it can be very useful when troubleshooting a connection issue, or if you are monitoring the traffic. 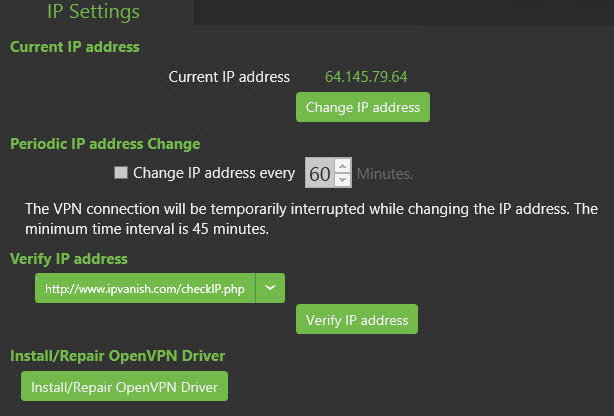 IPVanish has a lot of interesting features lined up for their users such as “zero traffic logs”, 40,000+ shared IPs, 500+ VPN servers in 60+ countries, 7-day money-back guarantee and more. They offer support for DD-WRT and Tomato flashed routers, Apple TV, Chromecast and Roku are supported (with the additional hardware required by the products). As a default, they use AES 256 encryption on ports 443 and 1194, however, “scrambled” connections will be done through port 3074 with AES 128 encryption. They do not offer an option to use proxy, port forwarding is not available and what we found very interesting is that their motivation for not supporting port forwarding is the existence of an so called “NAT Firewall” that will protect you from incoming attacks. That may seem very appealing until you realize that NAT is a network feature that is present in any kind of network that assigns IPs. IPVanish makes it sound like a feature they provide that offers extra protection, but that is not the case, NAT (or Network Address Translation) is something that even the most basic of networks provides by default, as attackers can’t reach a private IP address from the Internet. Therefore even your ISP router gives you this protection by default. 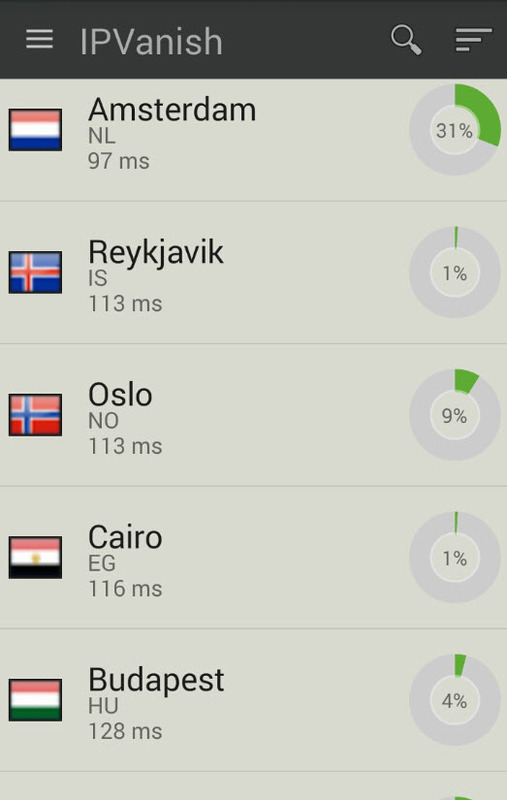 We ran several internet speed tests while connected with IPVanish VPN and we gathered some very useful information. The speed is good, both in torrent downloads and internet browsing. There were no disconnects and we had a good continuous experience from log-in to sign-out. Overall we were satisfied with the results, some servers are a bit slower than others, but keep in mind that all this depends on the location of the server in relation to your physical point of connection. The mobile application was very easy to use, the connection went through and we were able to connect in no-time. You have to log-in from the upper-left menu and then you can connect to any of the available servers. We like that the latency is also displayed next to each server. Please keep in mind that these prices are valid as of August 2016 and that prices may vary depending on when you read this review. You can always find up-to-date information by checking out IPVanish’s pricing page here. The technical support department did a good job of responding promptly to our request, they had a professional approach and there were no issues. IPVanish also has a well constructed help page that discusses frequent issues and have a forum system that allows you to participate with any relevant information on a topic. There is also a search engine that facilitates navigation through the several hundreds of topics covered. Sturdy and easy to use interface with some unique features. Latency description next to each server to help you choose the fastest way to connect. Lots of locations and IPs. 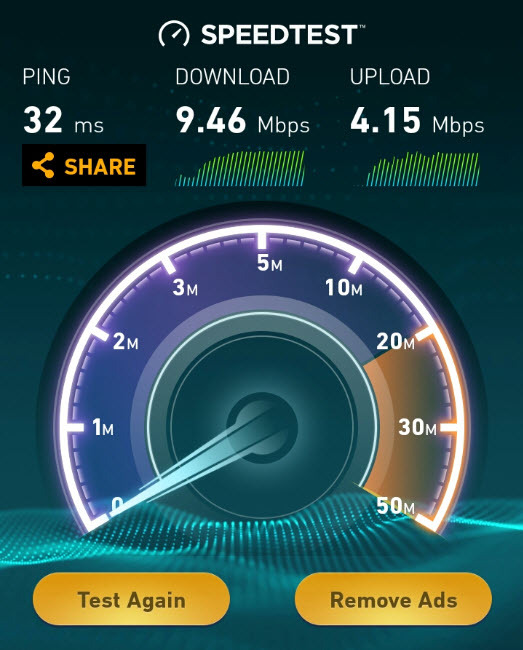 Good internet speeds both in torrent and browser tests; torrents are not blocked even after intensive use. Mobile application is feature-packed, very intuitive and does not compromise speed for functionality. The customer support experience was a pleasant and helpful one. Bitcoin accepted, not asking for personal details during purchase. They only offer two ports available for connection with OpenVPN (443 and 1194). No warning prompt when connecting via PPTP which is not secure. They are US-based, meaning that they can be subject to secret court orders. I signed up with them last year and had trouble getting my money back after I decided to cancel the service for getting poor speed. We exchanged quite a few emails, generally getting only canned responses. I got the money back after 6 days. I am currently using IPVanish after I’ve been with PureVPN for 3 months. It is faster and support is very quick. I have had Ipvanish for several years. Service has generally been good, but recent revisions to their software were poorly tested resulting in major problems followed by three more revisions, but bugs remain. Initially, service was great, hut now I can’t get a response to any questions. Blog an Forum have become sales pitches.